Thailand Amulets 泰国佛牌 – Sacred Thai Buddhist Amulets and Occult Charms – All Amulets Guaranteed Authentic from Thailand – Thai Amulet and Buddhist Blog – Thai Buddhist Guru Monks, Kata Chanting Tutorials for Amulets, Putta Pisek Buddhist Blessing Ceremonies for Thai Amulets. We have a massive selection of Thai Buddhist Amulets, all guaranteed authentically empowered and blessed by Thailand’s Great Amulet Makers. 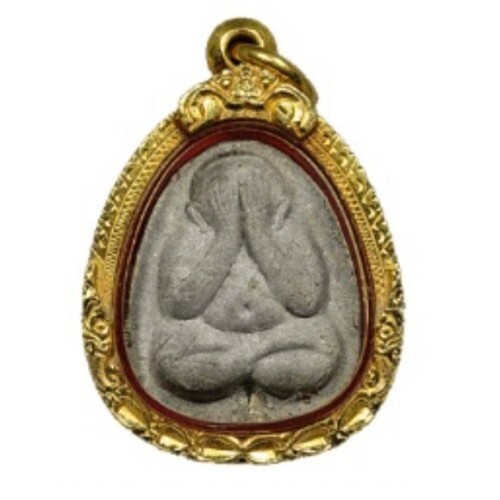 Thai Amulets by all Niches, be it Monks, Lay Masters, or Ruesi Hermits, We have a vast number of different types of Amulets, Occult Charms and Buddhist Bucha Statues available. Thailand Amulets takes pride in Guaranteeing all amulets to be authentic Thai Amulets, or Money Back. Don’t forget to visit our second store, Buddhist Amulet which runs on a https secure dedicated ip, and stocks different amulets from differing Masters. Thailand Amulets – Informational website on Thai Buddhist Amulets – amulet blog and articles. Thailand Amulet scene, Modern and Ancient. Thailand Amulets prides itself in its large selection of Lay Master magical items, as well as some serious Ritual and Ceremonial equipment and peripherals for small temples be they belonging to individuals or groups. We accept all Major Credit Cards through the Paypal Portal with safe https server technology from Amazon and ecwid – none of your credit card data is stored by is, and all Major credit cards accept our safe payment gateway. Thailand is famous for its Magical Buddhist Amulets, and Amazing stories of Miracles happening to their wearers, have been ever present throughout the ages. The living Wicha derived from the thousands of year old lineage of Brahman, Animist and Buddhist Magical Wicha which has culminated in the phenomenon of Thai Buddhist Amulets and Buddha Magic. The Ruesi.. Magic makers who practice what has become a purely Thai version of the Indian Rishi sage, more like a Wizard than anything else, the Ruesi makes charms, amulets, protective tattoos and healing mixtures, as well as spiritual blessings and protections based on the chanting of magical Kata and use of meditative powers. 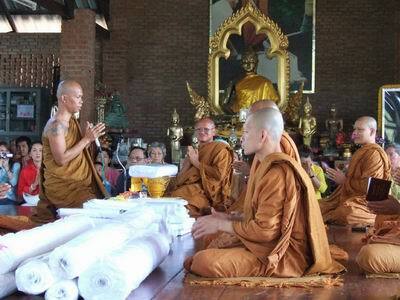 All Thai Buddhist amulets guaranteed authentic, and from Thailand. Registered Airmail Postage included in price for items weighing less than 350 grams. 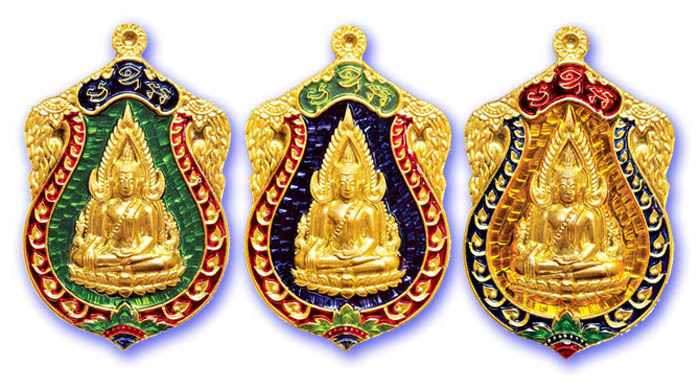 Thailand Amulets Guarantees all Thai Amulets to be Real and Originating from True Masters and Buddhist Temples. Thailand Amulets are very proud to offer the largest selection of info on Kata Chanting, How to Worship Thai Amulets, and has truly detailed descriptions and informative write ups to all Thai Amulets and Amulet Makers in our store. Just reading through our Amulet Descriptions, which are more like Long Blogs or Articles, will reveal how dedicated we are to giving our customers and readers the most informative and detailed information possible. We spend literally many hours on each Amulet in researching and writing about its origins, making process, contents and empowerment. Beware of Dishonest and Fake Traders – We Guarantee All Thai Amulets Authentic or Money Back. Thailand Amulets wishes Our Customers a Prosperous and Auspicious Future, and hopes that Our Thai Sacred Amulets bring you much happiness, prosperity, health, Fortune and Auspicious Blessings. Thai Buddhist Amulets, Auspicious Spiritual Companions for Improving Your Professional, Family and Spiritual Lives. Thailand Amulets Thanks all its long standing faithful customers for their sincerity, kindness in using our service, and for their Faith in Us, and our owner Ajarn Spencer’s Sincerity, and Honesty. Thailand Amulets – Authentic Thai Buddhist Amulets for Wealth, Luck, Charm, Health and Happiness. Kata Chanting Tutorials, How to Revere and make offerings to Deities and Thai Buddhist Amulets, Puttapisek empowerment ceremonies, and many informational articles on Thai amulets and charms, and their makers. Buddhist Monk Biographies.. and of course, Thai Amulets Galore – Ancient and Modern, and Only Authentic – Guaranteed or Money back! We stock all kinds of ancient and modern Thai Buddhist Amulets, such as Pra Kru, Monk amulet, Shiva Vishnu Brahma, Mae Yua, Kali amulets, Salika bird, Metta Oils, Pha Yant, Sacred Powder, Maha Sanaeh, Kong Grapan, Maha Lap, Klaew Klaad, Choo Chok, Magic Charms, Takrut, Nam Man Prai, Mae Bper, Mae Hong Prai, Look Krok, Pra Narai, Monk Lockets, Monk Coins, Bucha Statues, Ban Neng Bone Carving, Mid Mor (spirit doctor knife), Pra Somdej Amulets, Pra Pid Ta, Pra Khun Phaen, Rian Pra, Kumarn Tong, Luang Por Tuad, Hanuman, Jing Jok (gecko), Bucha Statues, Benjapakee, Pra Krueang, Krueang Rang, Pha Yant, Pra Somdej, Pra Pid Ta, Palad Khik, In Koo Maha Sanaeh Love Charms, Monk Lockets and Guru Monk coins, Luang Phu Tuad, Jatukam Ramathep, Por Gae, Khone Deity Masks, Temple Paraphernalia, Bucha statues, Buddhist Amulets, Animist Charms, Pra Ta Gradan, Hanuman, Pikanes, Specializing in Takrut Amulets, Maha Sanaeh Charms, and Ruesi/Laymaster related items. Authentic Lek Lai and other Sacred Relics, Kaya Siddhi Elemental Magical items, such as ‘Meed Mor’ Ritual Knives, ‘Mai Kroo’ Wands, ‘Khan Nam Montr’ Holy Water Bowls, and Pra Khan Sceptres are also available in the Thailand Amulets store. On our Thai Amulet Blog and Amulets Info Pages sections, you can read all about Thailands Many Sacred Buddhist Amulets, and Animist Charms. Kata Chanting Tutorials for all of our Amulets and More are Plentiful on Thailand Amulets Website, and are constantly being added as we add more and more Thai Amulets to the store. Sound Tutorials are included with a Great Many of our Sacred Thai Amulets. Read the history of Thai Amulets, famous monk biographies. Informational articles on Thailand Amulets and Master Monks and Amulet Makers are constantly being added, for Your informational reference and study. Please Refer to Our Sitemap to see the List of all of our Info Pages.